Do you like oatmeal for breakfast? I used to hate oatmeal as I find it taste very bland. My daily go to breakfast is a cup of coffee at Starbucks and a croissant or a sweet pastry. After awhile, I find it very unhealthy and the cost could add up. Now I love to start my morning with this tasty oatmeal for breakfast! The below ingredients make the oatmeal taste good every time! 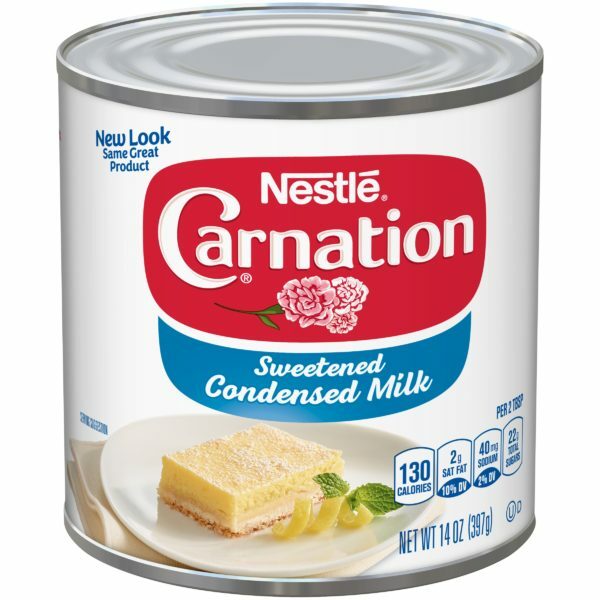 The above are the two commonly used sweetened condensed milk. This is the secret ingredient that makes the oatmeal taste so much better! Oats contain both soluble fiber which lowers cholesterol and stabilizes blood glucose levels in addition to insoluble fiber which improves intestinal health. Oats keep you feeling full longer. Rolled Oat: Oat groats have been dehusked and steamed before being rolled into flat flakes under heavy rollers and stabilized by being lightly toasted. This is the main ingredients in granola and muesli. Steel-Cut Oats : The oat groats are chopped into several pieces instead of rolled. It looks almost like rice that has been cut into pieces. Steel-Cut Oats take longer to cook. In this recipe, I use Quaker Super Grains Original – Oats with Flaxseed and Quinoa. It has a source of Fibre, Source of Omega-3 and Source of Whole Grains. 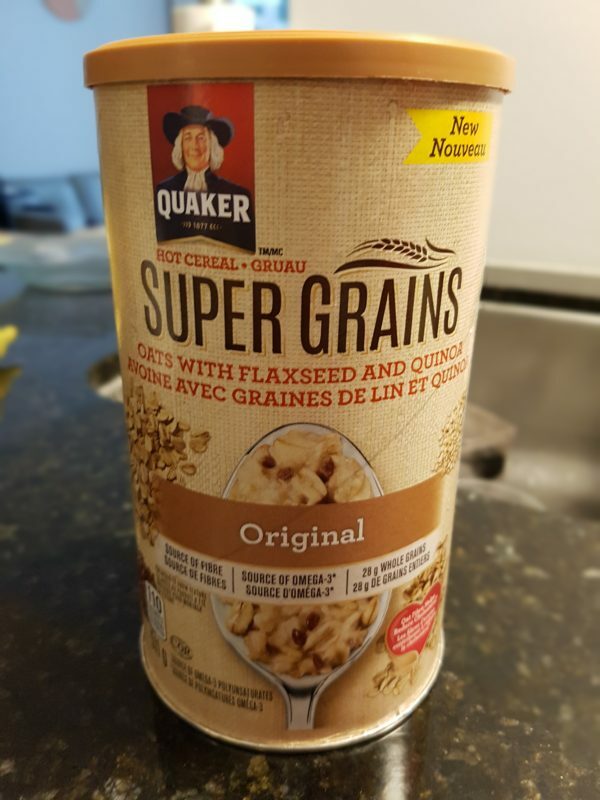 This Quaker Oats contain Flaxseed and Quinoa so it makes you feel fuller when you eat this as breakfast. 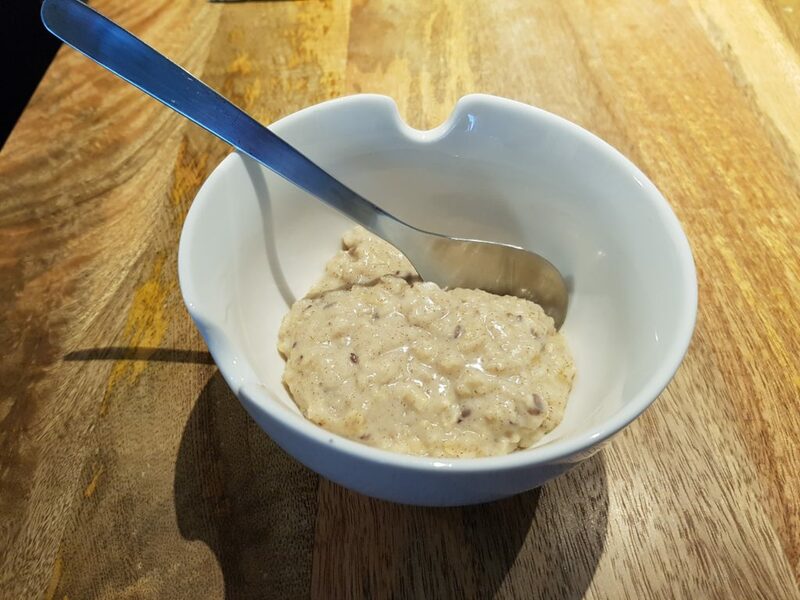 The Oats I use in this recipe! Controls insulin levels (That is, less calories stored as fat). Suppresses appetite. 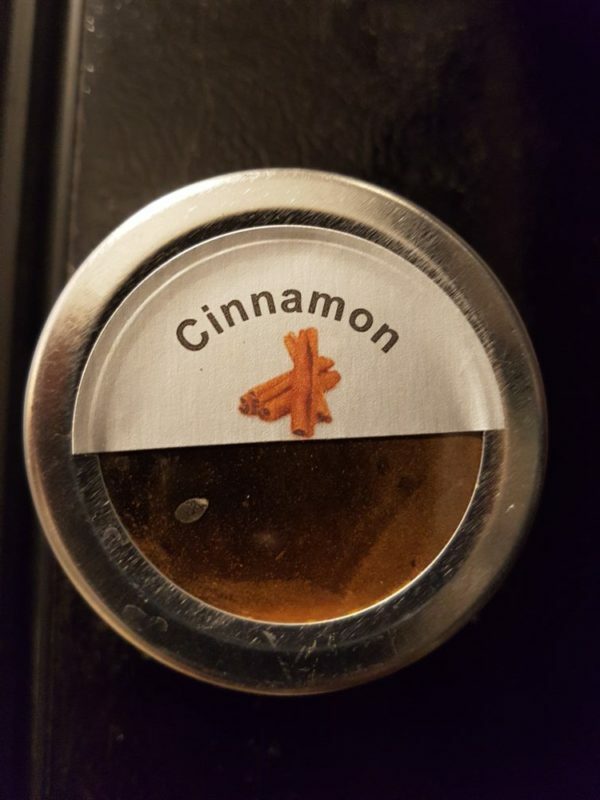 For example, you can add cinnamon to your coffee or smoothie to get the last metabolism boasting effects. Anti-Inflammatory – helps body fight infections and repair tissue damage. Detoxify the body – clear out toxins from the liver and kidneys. Boosts skin health by removing blackheads, treating acne and clogged pores. 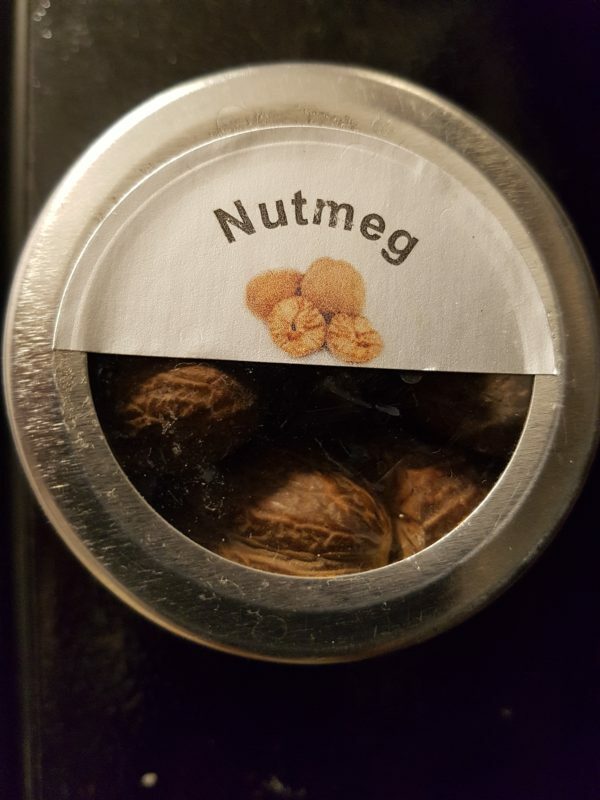 Caution: Large dosage of nutmeg (30 grams or 6 tablespoons a day can be toxic). It causes convulsions, double vision and dis-orientation. Mix equal parts of ground nutmeg and honey into a paste and apply on pimples. Leave the paste on for 20 mins and then wash with cold water. Use nutmeg powder and a few drop of milk to make into a paste and massage into your skin. Then rinse. 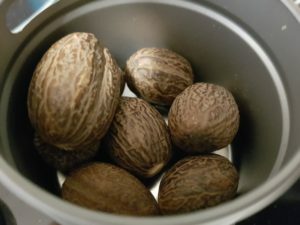 Nutmeg can be used as scrubs with oatmeal, orang peel. 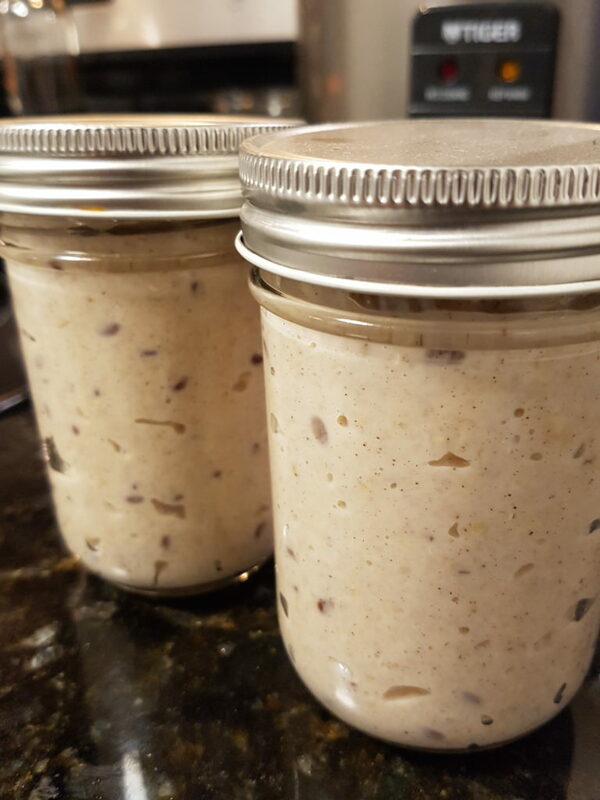 The following easy and healthy recipe makes 3 mason jars of oatmeal that will last you 3 mornings! 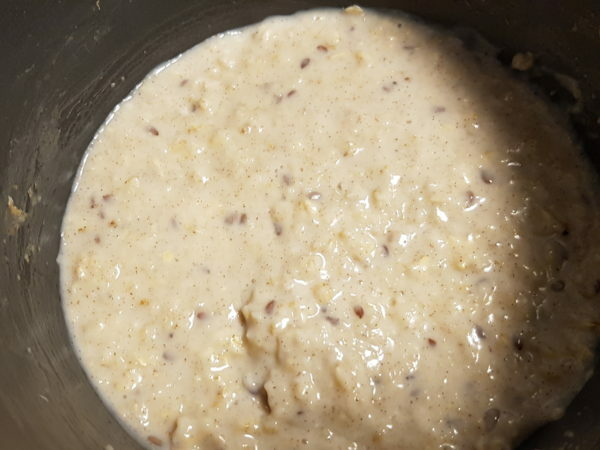 Stir the oatmeals until oatmeal thickens. 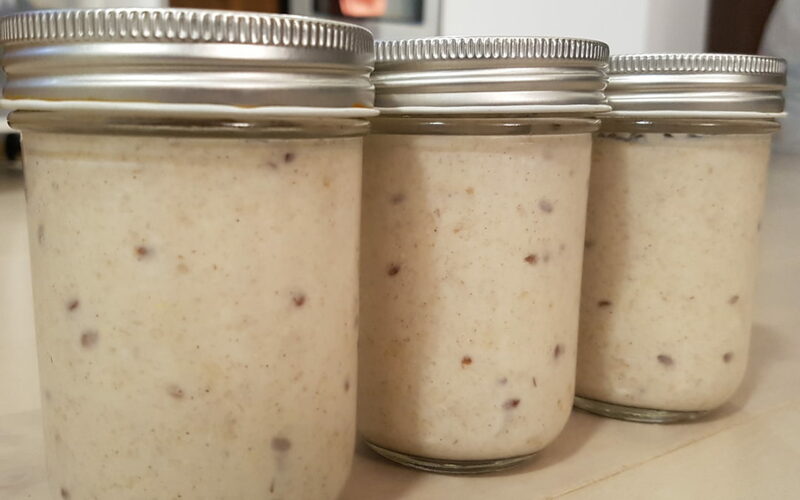 You can serve hot on the same day or add to medium size jar and store in the fridge. This will make 2 mornings of delicious oatmeal for breakfast. 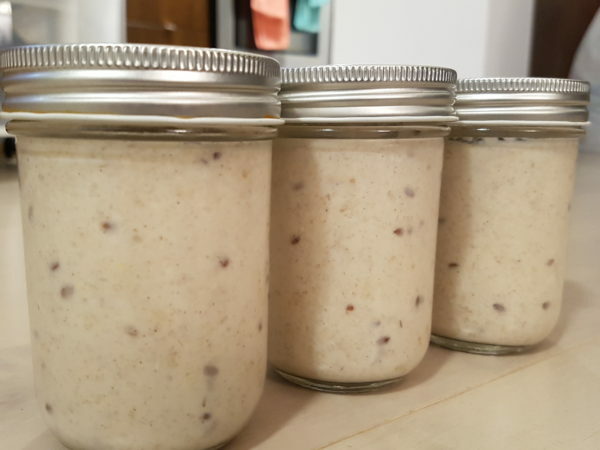 Delicious oatmeal in a jar! If you work during the day, you only need to cook this recipe one night and store in the fridge overnight. This recipe makes perfect breakfast for 3 days! Enjoy the oatmeal every morning with a cup of coffee! Healthy Tip: You can replace Condensed Milk with 100% Pure Maple Syrup or Honey for a healthier choice of oatmeal. 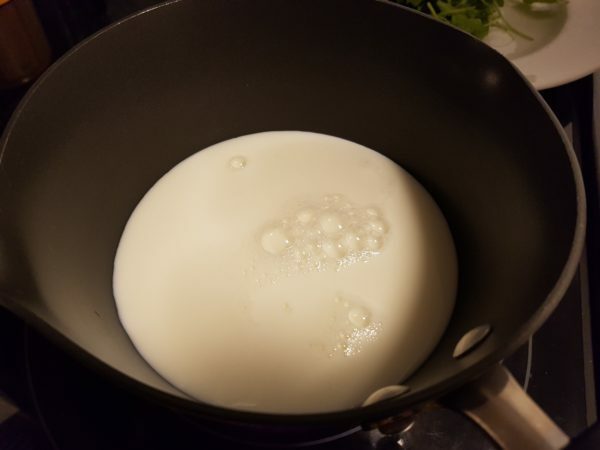 1/2 teaspoon of Condensed Milk to taste put less if you want the oatmeal to be less sweet.